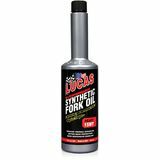 Winger Fork Oil "Fast shipment. Product as described." kdiebqr - Foley, MO, USA Should come in a larger bottle "I dont have the empty bottles here anymore but believe the bottles were around 473 CC.. My CCT takes 475 or something around that.. with spillage I had to add some oil of another brand i had left-over from my last change . Good product, bad packaging Quick delivery from Motosport"